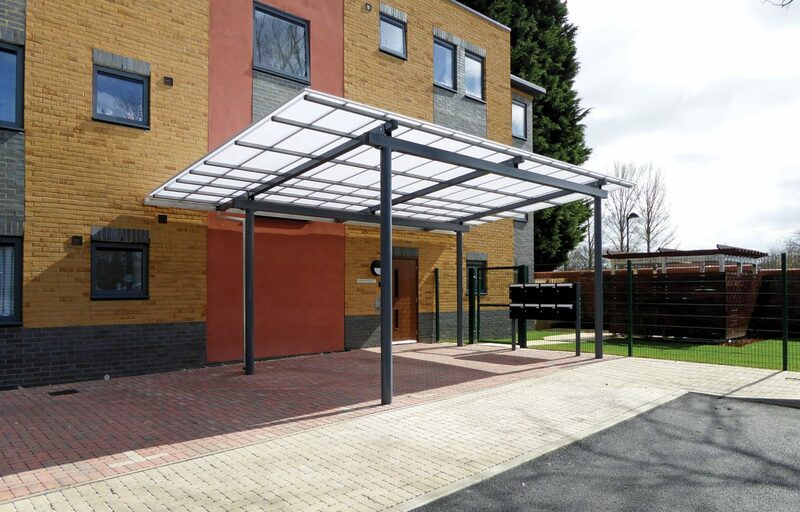 Flat mono pitch canopy for residential development in Berkshire. 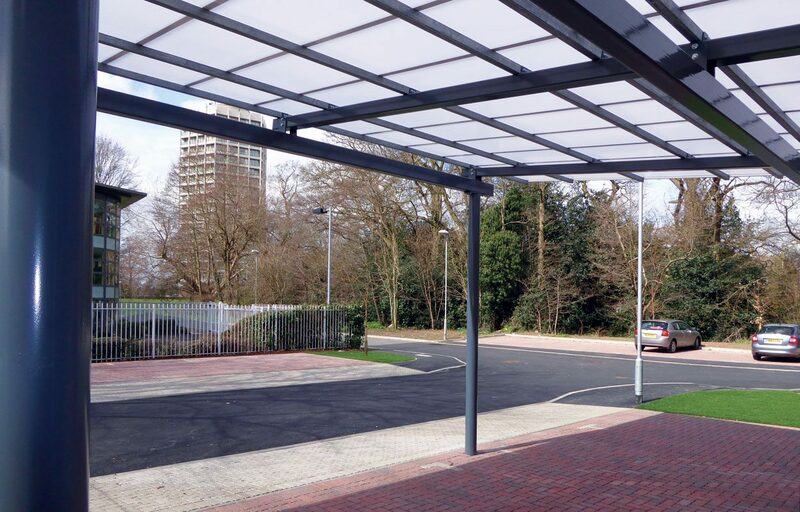 A commercial development, the contractor needed a canopy for a disabled parking area that was designed and specified to the context’s requirements. 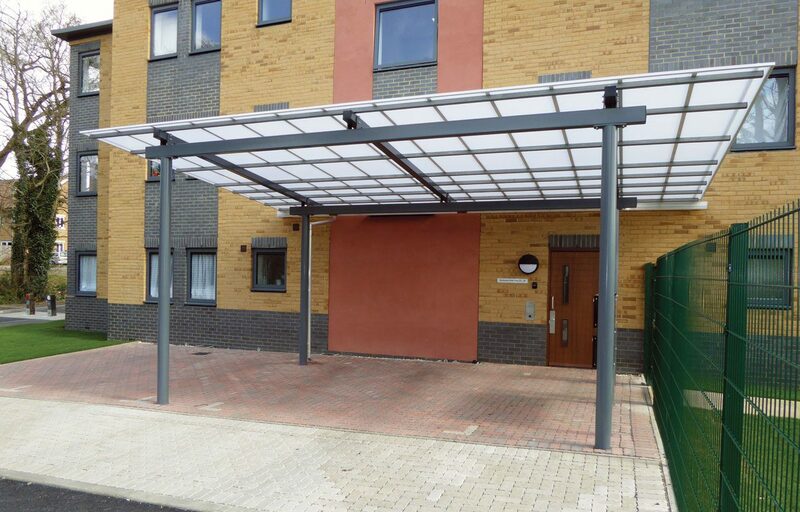 The CE marked steel structure was fabricated at our very own factory site in Arundel.